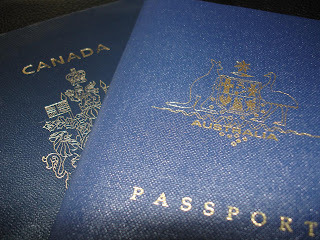 My Australian passport arrived today! Count me in to that rare demographic, the undocumented-Canadian-Australian community, living in the shadows in America. Be careful. I might tap your maple tree. Or erect stumps for cricket in the park.